Skype is one of the best ways to communicate with friends. If you would like to meet new people on this messenger, you will need to find active people. We are going to tell you how to do that on this page. 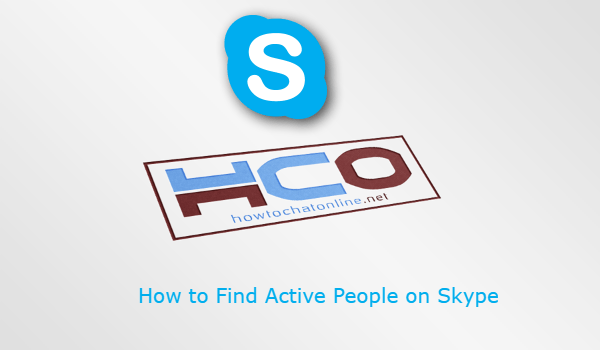 We hope that it is going to be useful for you and you are going to meet active users on Skype as much as you can… Let’s begin to tell how to find active people on Skype. See Also: Why WhatsApp Isn’t Popular in US? There are many good ways to find active people on Skype, such as using friend finder websites for Skype, using social media websites like Facebook, online chat sites and some free dating websites. You can find many good opportunities on those platforms. However if you are expecting to meet active people with only guessing usernames, this can be a disappointment for you. If you don’t have an account from Twitter, have one. Click on search field and search for “Skype”. Try to find out messages of users who are using Skype. Begin to talk them through messaging or Tweet. There are many free dating websites which are including lots of people. Plenty of Fish (also known as POF) is one of the best examples of this. You can enter POF and begin to meet new people there and create new friendships. You can also find alternative ones in our reviews. You can meet people who are using Skype actively on POF.